MODIS satellite image 26 November 2005. Dark green = forest, light green = farmland, brown = heath. THE future of what was once one of Tasmania's most thriving industries was in tatters yesterday, after marathon forestry peace talks were finally felled by warring parties. "Signatories could not reach agreement between the conservation reserves and a minimum sawlog volume," Mr Burke said. An industry source said Ta Ann, which employs 160 workers at its Smithton and Huon Valley mills, had warned the Government that the mills would close if the talks failed because it was not willing to operate in an environment of controversy and conflict. The conservation movement began in Tasmania in 1972 when the Hydro-Electric Commission flooded the iconic Lake Pedder in order to provide a back-up supply for the Gordon River power scheme. Not long afterwards, the movement really gained momentum with the proposal to put further hydro dams on the Gordon and it tributaries leading to the famous Franklin Blockade in 1978 which resulted in the proposal to dam the Franklin River being abandoned following a High Court decision in 1983. The conservation movement has come the full circle. It has gone from being the voice of a small, concerned minority to, arguably, one of the most powerful and cashed-up lobby groups in the country. Nowadays it is governments that have to kow-tow. 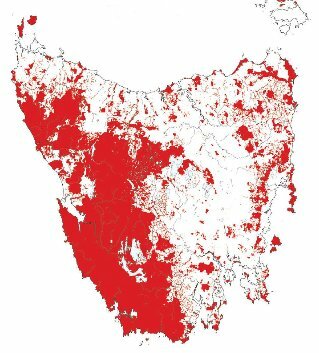 Because all the usable hydro sites in Tasmania have been dammed and because hydro-electricity has suddenly become respectable, the conservationists have turned their attention to forestry and mining. Opponents of a new open cut mine in Tasmania's Tarkine region say they are prepared to mount a campaign to rival the Franklin Dam blockade. The State Government yesterday signed off a lease for a $20 million iron ore mine at Nelson Bay River, near Temma on the west coast. It is by now abundantly clear that the aim of the conservation movement is the complete cessation of all human use of natural resources - everywhere, forever. We must save all wilderness, we must save all forest. Their appeals for more downstream processing and greater use of plantation trees have also turned out to be a sham as evidenced by ongoing Green opposition to both the Gunns paper mill and plantation forestry. The failure to reach agreement between FIAT (Forest Industries Association of Tasmania) can be laid squarely at the feet of the conservation movement. That FIAT should be reluctant to see even more forest conserved and even more restrictions placed on timber quotas is understandable given that 47 percent of the state is already locked up in this way. This is almost the entire timber resource of the state. The maps at the top of this page show this clearly. It is obvious that the conservation movement wants forestry to cease altogether. In this context, to hold FIAT in any way responsible for the failure of the talks is ludicrous. 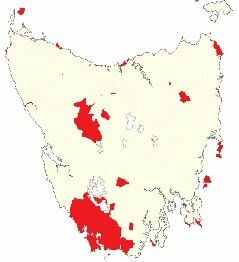 The Wilderness Society and The Tasmanian Conservation Trust are not political parties and represent no-one except their members. These people are lobbyists pure and simple. Why should FIAT need to agree with Green lobbyists? In the 2010 state election the Greens secured 21.6 percent of the vote and most of that in the capital city, Hobart. It is not likely to be as high as that again. Effectively twenty percent of the population now have a stranglehold on the state's economy, a stranglehold on the state's future. The two major parties, the Liberals and the ALP have more in common with one another than either does with the Greens. They may disagree about means but not about ends; fundamentally both the major parties are interested in the prosperity of Tasmania and Tasmanians. They both want to see Tasmania thrive. The Greens are not concerned with prosperity. They are interested only in morality. To them forests are sacred places to be left untouched for eternity. In this regard they are very much like a religious group. It is ironic that their major support is from the cities where people tend to romanticize the bush. This mentality is described by Jonathon Haidt in his recent book "The Righteous Mind", where he points out that voters often tend to be motivated more by a concern for morality than by self-interest. However, if you live in the country where your community, your job, the job prospects for your kids and the resale value of your house all depend on the continuation of local industries, then things take on a very different perspective. The activities of tree-sitters and saboteurs do not look nearly so heroic. Part of the problem is the preferential voting system for the Tasmanian lower house - the Hare-Clarke system. This was designed to be very fair and equitable but has the unintended consequence of leading to minority governments in which individuals or small parties can finish up wielding the balance of power. When this balance of power rests with a group of extremists the results can be disastrous. Tasmania has been reduced to an economic basket case by Green shenanigans. It could take decades to recover. 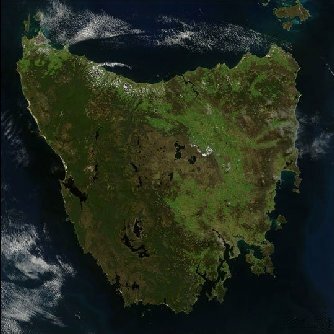 If possible, renegotiate to remove the World Heritage Area which, because of the 1983 High Court decision, has handed effective control of Tasmanian sovereign territory to the Commonwealth. Restore all other reserves to pre-1981 boundaries (with some small exceptions). Start re-allocating timber leases and do whatever else is necessary to revitalize the timber industry. Ensure the Tarkine mine goes ahead. Introduce legislation making forestry campaigns and blockades an offence (this does not conflict with the principle of freedom of speech and assembly and resembles secondary boycott provisions in IR legislation). It should be recognised that to interfere with a worker in the performance of his or her legal duties is a form of sabotage. The major parties must negotiate to destroy the electoral power of the Greens - a PUT THE GREENS LAST campaign.